Even before the official launch in October this year I already knew what I wanted, one product grabbed my attention more than any others. I could not stop watching or reading reviews from ladies all over the planet about it, I just had to get the Priming Moisturiser Rich. I do love a rich moisturiser especially at this time of the year when the weather is colder and my skin seems to lose hydration more than usual. The second product I got was the Balm Dotcom. 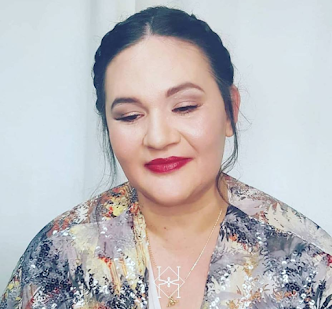 Like my skin my lips get very dry during the colder months so I thought this duo would be the prefect combination to kick-start Autumn and Winter. So what are my first impressions? Lets start with the Priming Rich Moisturiser which is really what I was the most excited about. First of all I am loving the packaging. The translucent pot along with the light baby pink lid is very pretty and very luxurious. The cream itself is a pure pleasure to apply, it is rich, it gives me all the hydration that I need, so whats more to ask? Also lets not forget the scent! I do love a luxurious scent and this cute little pot delivers just that. The scent is a mix of Shea and Lavender oils which is a beautiful smell as soon as you open this little pot of wonder! It is just up my street. Now turn of the Balm Dotcom. First of all I love the name and the paint tube like product. Just the right handbag size and easy to use. 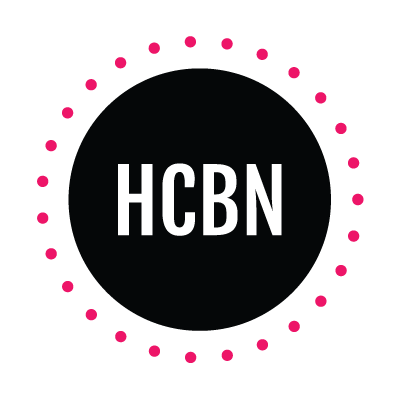 I chose the Balm Dot Com because it had no scent, when it comes to balms I like them to have no scent at all. This little balm come with a lot of goodness, from castor seed oil for the natural ingredient, Cupaucu fruit extract for the Omega 6 & 9 that melts into your skin and of course bees wax for the protective barrier. On my first try I could not believe how hydrating and soothing it was. Especially at this time of the year when my lips get dry and need a good amount of hydrating. Also it lasts for hours on lips which is always a good point for me. This little tube has been my close friend for weeks now and I am not going to replace it for a long while. 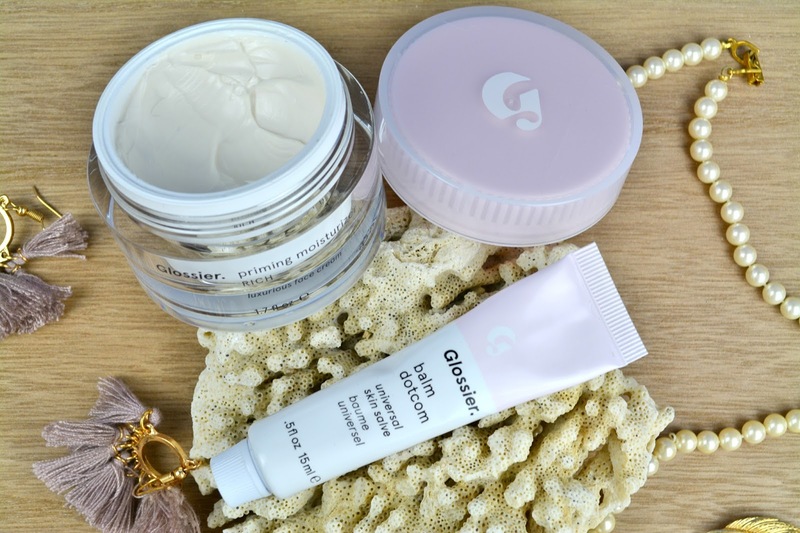 Glossier for me delivers I am very happy about the two products and I'm seriously considering on getting few extra products to try, from their skincare range, in the next few weeks. I am thinking the Milk Jelly Cleanser and most likely one of the 3 serums, but which one to choose? Either way stay tuned for more Glossier haul on this little blog of mine. 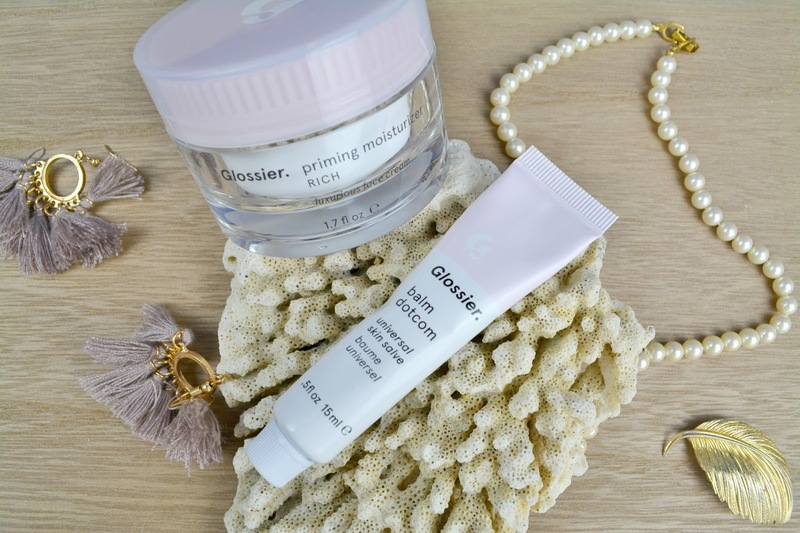 Have you tried any Glossier products? please tell me all by commenting below.